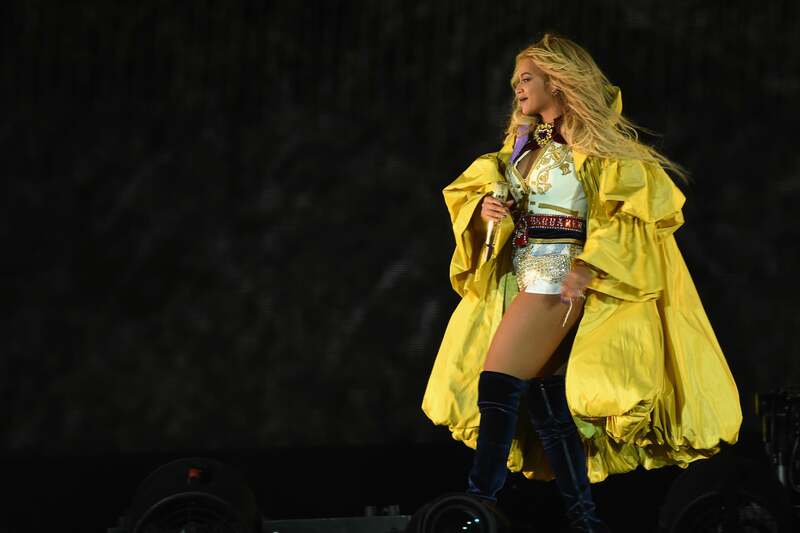 Although Beyoncé officially ended her “Formation” Tour this past weekend, it didn’t stop the superstar from debuting several new outfits. And included in those lovely looks was a pair of $120 boots. Beyoncé wears a DSquared2 SS17 heraldic embroidered jacket underneath a flowing mustard jacket. That’s right — Queen Bey was actually wearing something you might be able to afford. 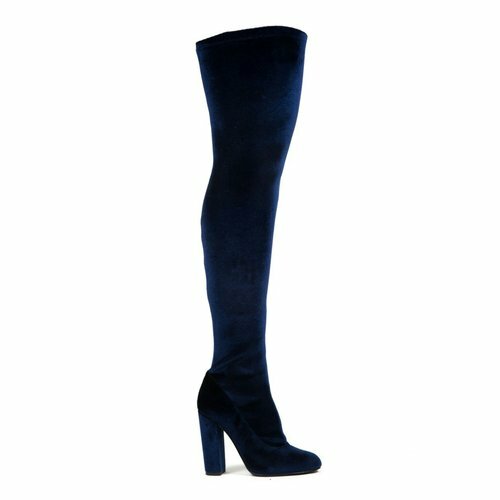 The LFL by Lust For Life “Maven” navy velvet over-the-knee boots were stunning on Bey and would be the perfect addition to any gal’s fall wardobe. We love the luxe velvet texture and navy is one of the biggest trends this season. On top of all of that, the boot’s stretchy fabric will work with curvier legs (read: bigger calves and thighs). Amen!